Puppies have different nutritional requirements to adult dogs, which is why we find most manufacturers offer a puppy formula. These are recommended for the first 12 months. I’m often asked what puppy formulas I recommend in absence of any specific puppy food reviews on this website. Generally, if I rate an adult food highly it’s very likely the corresponding puppy formula will be just as good. 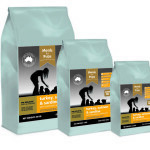 Take advantage of offers from Pet Circle or My Pet Warehouse who almost always have offers on many of the below foods, or use Sniff Out to find the best prices on pet products in Australia. 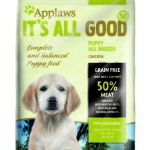 View all Puppy Foods at Pet Circle. This food has been around for quite some time and sold worldwide. I’ve often recommended it, and have never heard any bad feedback. Like other Canidae foods, it seems to sit well with dogs suffering intolerances and skin conditions. It’s based on chicken and menhaden fish meal (an excellent fish ingredient), with lentils and peas. This is a great option across the board, and it’s grain free as well. 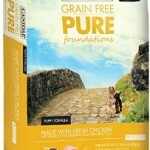 See more information for Canidae Pure Foundations on the Canidae website or buy online at Pet Circle or My Pet Warehouse. Ivory Coat are a recent addition to the Australia pet food market, and their foods are of significant quality. 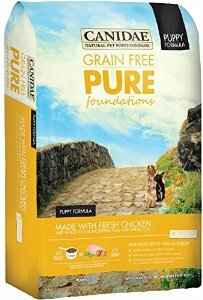 Their puppy diet, being grain free and based on chicken meal, boasts one of the highest protein contents I’ve seen in a pet food. 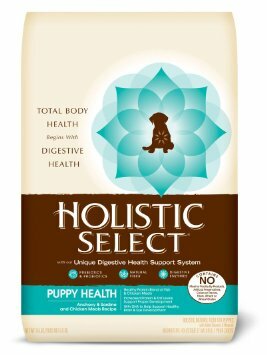 All the ingredients are top quality, with great additions such as flaxseed, salmon oil, and a range of choice fruits and veggies. It’s great to see a thoroughbred Australian company producing such a good quality food. See more information for Ivory Coat Puppy on the Ivory Coat website or buy it online from Pet Circle. 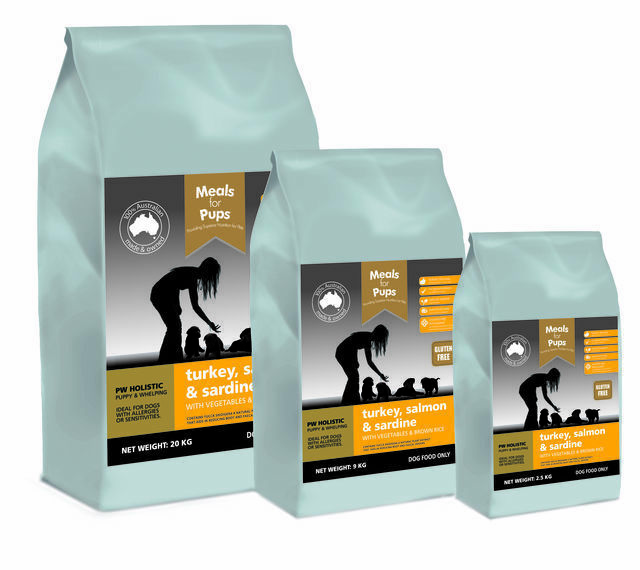 Meals for Pups is the Meals for Mutts puppy formula, one of the few Australian brands available. It’s based on turkey as a lean meat and salmon & sardine which is great for protein and vital nutrients including omega fats. 30% protein is really good to see and testament to there being a decent amount of meat in the food, although the Australian definition for “meat” is any part of the animal that contains protein. Brown rice is an excellent choice of grain, far more superior to white rice, and the food as a whole is well rounded inclusive of fruits, veggies, essential fats and oils. I’ve been impressed by the Meals for Mutts nutritionist Bill before, he’s well versed on pet nutrition. See more information for Meals for Pups on the Meals for Mutts website or buy online at Pet Circle or My Pet Warehouse. 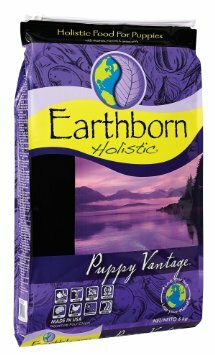 Earthborn sell quality foods, and their Puppy Vantage formula is no exception being packed out with chicken meal and whitefish meal and backed up with a few top grain selections and a shopping list of fruits and veggies. It’s much higher in fat than the Canidae food. 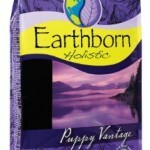 See more information for Earthborn Puppy Vantage on the Earthborn website or buy online at Pet Circle or My Pet Warehouse. Holistic Select is made by Wellness, a quality company that sells foods worldwide. This is a grain-based kibble based on anchovy and sardine meal, with chicken meal included. The grains are brown rice and white rice, so not quite as good as Earthborn Holistic listed above, but it’s cheaper and still a quality food. They have a couple of other puppy formulas for small breeds and large breeds (lamb recipe). 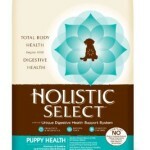 See more information on the Holistic Select Australia website or buy online at Pet Circle or My Pet Warehouse. 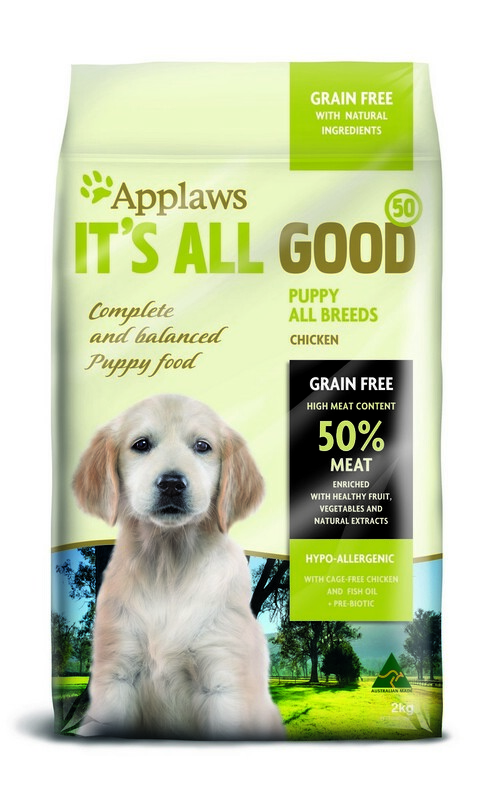 Applaws is available in the supermarkets, and it’s by far one of the better foods you’ll find on the shelves. Being a supermarket offering means it falls within a value-for-money price bracket, but has the quality of some of the foods you’ll find in the pet shops and specialist shops. It’s Australian made too! See more information on the Applaws website, or buy in Coles, Woolies, or online at Pet Circle or My Pet Warehouse. Black Hawk are another Aussie company… alright, alright, well they’re now owned by New Zealand company EBOS, but the food is still made in Australia using Australian produce. They’re significantly better than most supermarket brands and also some of the brands your vet will recommend (Science Diet, Advance, and so forth). 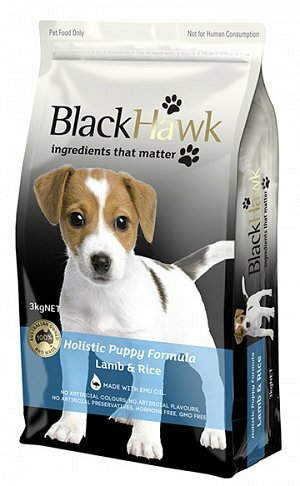 I’ve listed Black Hawk 5th on this page as there have been a few inconsistencies with the quality of their foods, and I’ve heard a number of dogs haven’t taken too well to it. That being said, I’ve heard many dogs have done great on it, and it’s much cheaper than the foods listed above. 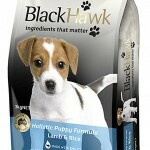 See more information for Black Hawk Puppy on the Black Hawk Pet Care website or buy online at Pet Circle or My Pet Warehouse. If you’re after any guidance for your new puppy, diet-related or otherwise, then Pet Circle offer a free Ask a Vet service. They have a team of veterinarians available to answer any questions – for free! Click here to use the Ask a Vet service.